Highly fragrant flowers. 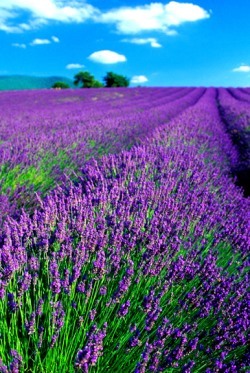 The French variety, 'provence' is commercially grown for the perfume industry.The English varieties, munstead and hidcote are more popular in residential gardens. A slow growing weeping evergreen shrub. Clusters of white flowers appear in late spring to early summer. 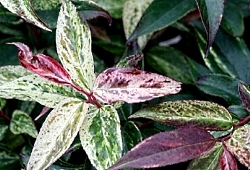 Foliage turns purplish-bronze in winter. 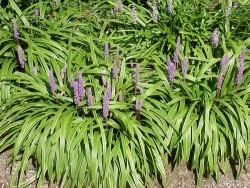 Great for foundation plantings or as an underplanting for larger shrubs. Coast leucothoe is native to Eastern United States. The Lilac 'Betsy Ross' is the one we have been waiting for. 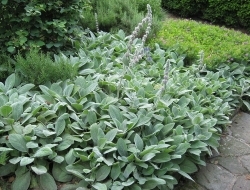 It has been selected for its abundant pure white, fragrant flowers and compact, rounded growth habit. Its leaves are thick, dark green and maintain high mildew tolerance. Matures to a height of 10 feet tall with a larger spread. 'Betsy Ross' is an early-spring blooming lilac that is well adapted to warm climates. it works well in a border or as a specimen. 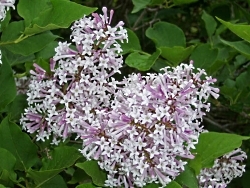 'Krasavitsa Moskvy Lilac (Beauty of Moscow) is extremely hardy, and has a long blooming period. The large double flowers of this Lilac resemble pink pearls in bud, but open to pure white. The striking combination of buds and flowers creates a beautiful bi-color effect. Flowers are delightfully fragrant and abundant making this a superb garden plant, as well as a perfect choice for cut flowers. This lilac with wonderful fragrance, lavender colored flowers, and good fall color should be planted where it can be enjoyed three seasons of the year. 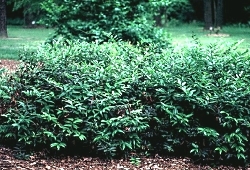 The smaller-than-usual growth of this shrub makes it easy to place in the front of a border, or use as a low hedge along the drive or sidewalk. 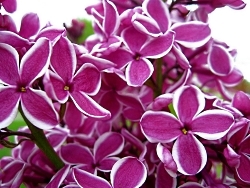 This cold hardy variety blooms earlier and longer than most lilac bushes. Beautiful, fragrant flowers make excellent cut flowers for bouquets. 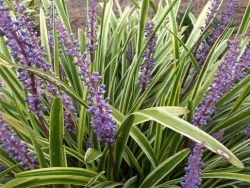 Plant near a patio or walkway to enjoy the wonderful fragrance as well as visiting butterflies and hummingbirds. 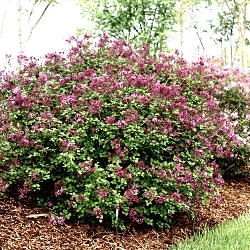 Large lilac bush with beautiful, fragrant purple flowers edged in white. The flowers bloom late spring. Excellent choice anywhere in the landscape that the beauty and fragrance of this lilac can be enjoyed. The 'Bloomerang' lilacs are wonderful in that they bloom twice a year. Once in the spring, then again in mid-summer to fall. The dark purple color will add beauty and frangrance to your landscape, or in a container on the patio. Abundant blue flower spikes rise above the attractive blue-green grass like foliage followed by clusters of black berries. Superior edging, border or ground cover.